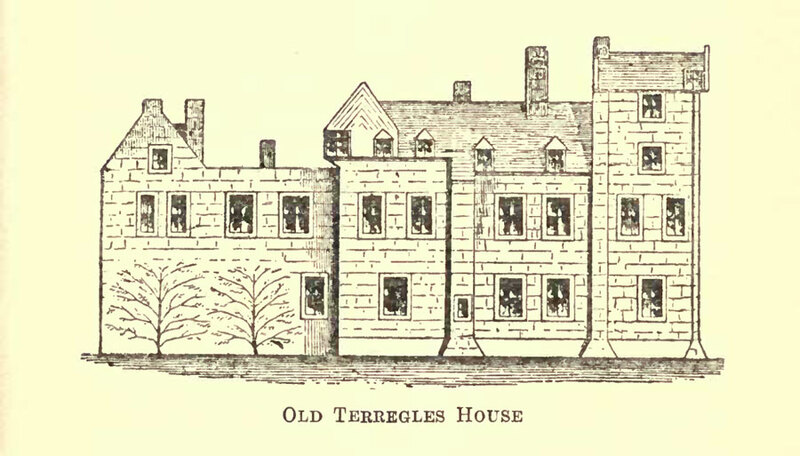 It isn’t clear when the first castle was built at Terregles, but it is known that there was a tower house, which was replaced by Terregles House in the 18th century. 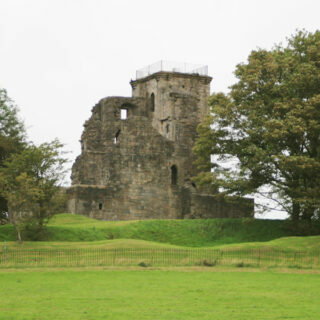 The lands of Terregles were granted to Sir John Herice (later the Keeper of Stirling Castle from 1369 to 1370) by David II in 1364, with the title Baron Terregles. His son, also Sir John, was the first to be styled “of Terregles”. 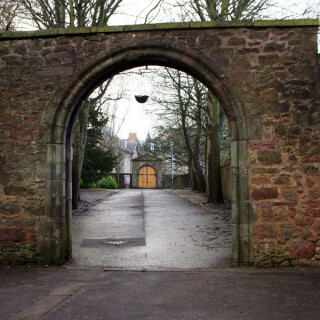 The Herice family were descended from the de Heriz family who had moved into Nithsdale during the first half of the 12th century. 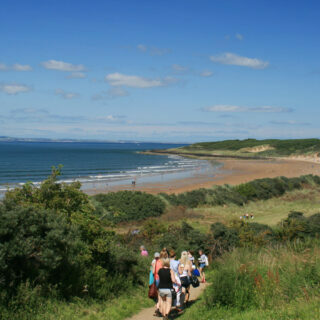 The name would later become Herries, and Herbert Herries was created the 1st Lord Herries of Terregles in 1490. 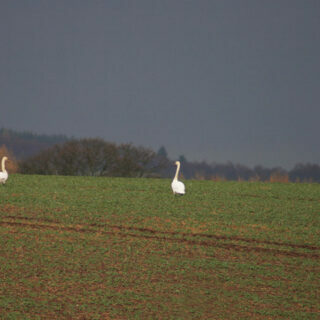 When William, the 3rd Lord Herries, died in 1543, Terregles passed to his eldest daughter, Agnes, Lady Herries. In 1549 Lady Herries married Sir John Maxwell, son of Robert Maxwell, the 5th Lord Maxwell, and Terregles became a Maxwell property. 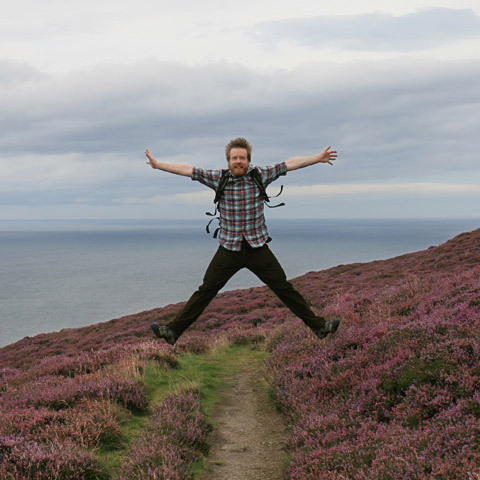 John Maxwell was responsible for rebuilding and strengthening Terregles, adding a massive keep-like known as Mosstroops Tower (or Moscrope’s Tower) to the north-east of the castle. His successor, William Maxwell, the 5th Lord Herries, carried out further improvements in 1601. 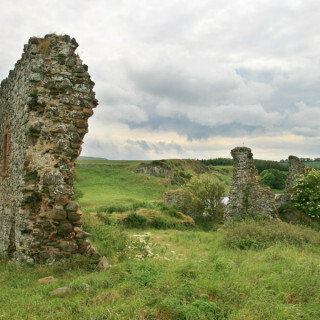 William Maxwell, the 5th Earl of Nithsdale and 9th Lord Herries, took part in the Jacobite Rising of 1715 and as such forfeited his titles, but Terregles passed to his son, also William. This William married Catherine Stewart, daughter of Charles Stewart, the 4th Earl of Traquair, in 1730. Their second daughter, Lady Winifred Maxwell, married William Haggerton Constable of Everingham, and she inherited Terregles upon her father’s death in 1776. The architect Sir Robert Smirke is often said to have been commissioned to build a new house for the former Lady Maxwell. However estate papers refer to a new house being built in 1788 and 1789, with more work carried out from 1792 to 1800. Since Smirke wasn’t born until 1780 his involvement seems rather unlikely! When the new house, a 120 room grand mansion, was finished, the old castle was demolished, suggesting that it stood close to the site of the new house rather than the new house incorporating elements of the older building. 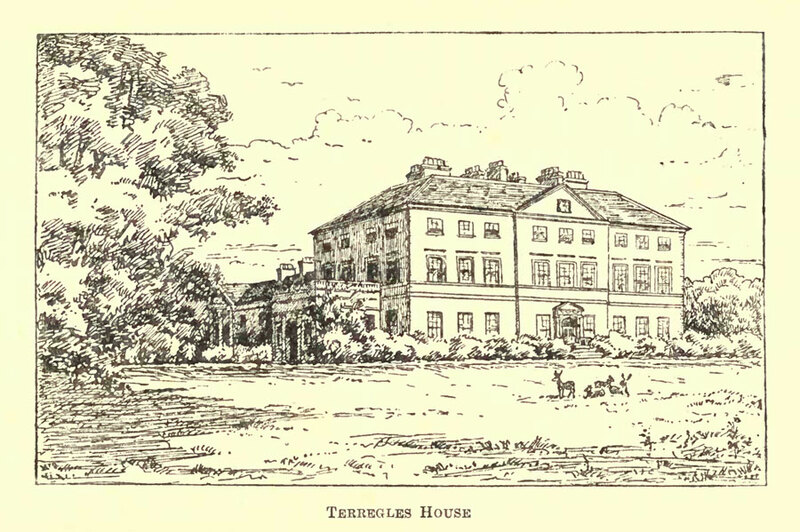 Smirke does however seem to have been responsible for making additions to Terregles in 1831, adding a monumental porch to the main entrance on the west side and building a rear wing. He is also probably responsible for building a stable block in the Classical style. William Constable-Maxwell was recognised as the 10th Lord Herries of Terregles in 1858 after obtaining an Act of Parliament restoring the descendants of William Maxwell, the 5th Earl of Nithsdale and 9th Lord Herries. 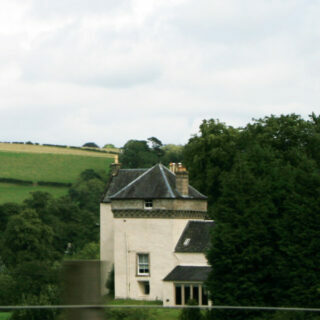 In 1875 Henry Constable-Maxwell of Terregles, the grandson of Lady Winifred Maxwell and brother of the 10th Lord Herries, William Constable-Maxwell, inherited Traquair House from a cousin. In the same year Henry’s nephew, Marmaduke Francis Constable-Maxwell, the 11th Lord Herries, married Angela Fitzalan-Howard, a grand-daughter of the 13th Duke of Norfolk. So it may be that the Constable-Maxwells’ focus shifted from Terregles with the introduction of new property to the family. In 1924 the Government bought the estate, but not the house, and divided the land into smallholdings for soldiers who had returned from the First World War. The house and its contents were sold by the Constable-Maxwell family in the early 1930s to James Clenaghan. During the Second World War Terregles was requisitioned, and the house and stables occupied by Norwegian soldiers during their country’s occupation by Germany. After the war Terregles was partly occupied by James Clenaghan until at least 1955, although the majority of the house was latterly boarded up and unused. Some time after 1955 the Clenaghans moved into the gatehouse and the main house lay empty and was eventually gutted. Suffering badly from dry rot, the house was blown up in 1964. Terregles is in the parish of Terregles and the county of Kirkcudbrightshire. Published on the 25th of May 2011 at 1:07 pm. Updated on the 3rd of September 2013 at 5:34 pm.